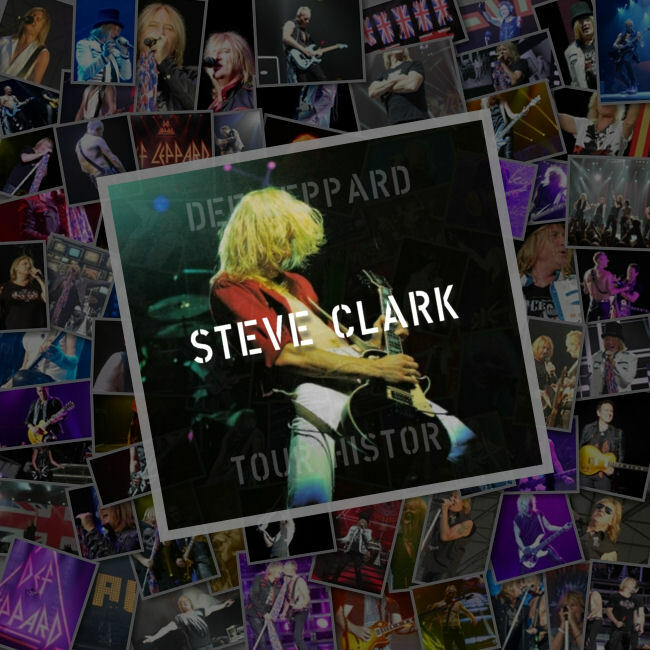 A section for Def Leppard guitarist Steve Clark with details of all releases and tours played on and personal information. Joined Band - 29th January 1978. Full Name - Stephen Maynard Clark. Birth Date - Saturday, 23rd April 1960. Birth Location - Nether Edge Hospital in Sheffield, England. Death Date - Tuesday 8th January 1991. Death Location - A Flat on Old Church Street in (Chelsea) London, England. Funeral Date - Thursday 17th January 1991. Grave Site - Wisewood Cemetery, Loxley Valley, Sheffield, England. Previous Bands - Electric Chicken (a local band in Sheffield). Mother - Beryl Clark (formerly Beckingham). Younger Brother - Chris Clark. Younger Brother - Kevin Clark. Girlfriend - Janie Dean (w/ Steve at time of death) - now deceased. Steve was born in Sheffield, England and grew up in Hillsborough, a suburb in the north-west of the city. He was influenced to play music by his parents record collection and got his first guitar aged 11. He got the guitar in exchange for taking classical lessons for a year. He began playing in local bands including 'Electric Chicken' and played his first show in a scout hut. In July 1972 he was featured in the local press when taking part in a folk dance festival. 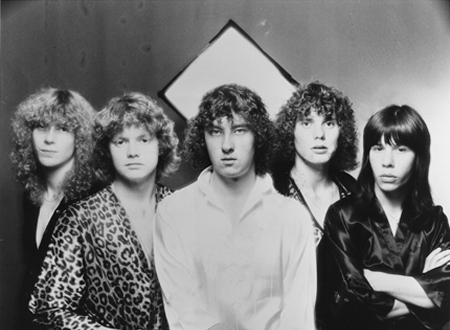 Steve later met Pete Willis in the library of Stannington College and was asked to audition for Def Leppard. He auditioned for the band in January 1978 and impressed them by playing Lynyrd Skynyrd's 'Freebird'. Steve unfortunately passed away in his sleep at his flat on Old Church Street in Chelsea after a long battle with alcoholism. Whilst on a six month leave of absence from the band to get help for his alcohol problems. He had been drinking the night before at a pub across the road from his flat called The Front Page (now The Pig's Ear). "respiratory failure due to a compression of the Brain stem, resulting from excess quantities of alcohol mixed with anti-depressants and pain killers." The death was recorded as an accident with no suicidal intent involved. Steve had been taking prescribed painkillers at the time for cracked ribs. Given the nickname Steamin' and well known for his energetic live performances. 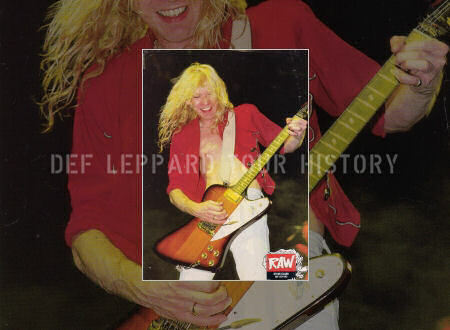 Known for using mostly Gibson Les Paul guitars on stage and wearing all white. This inspired the title of the song 'White Lightning'. 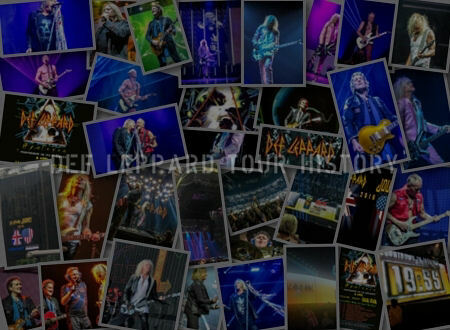 "I like playing live the most and also creating the songs is good sometimes. I don't mind being in the studio if it's a short period of time. But four years is taking it a little bit far. So you sort of go a bit crazy. 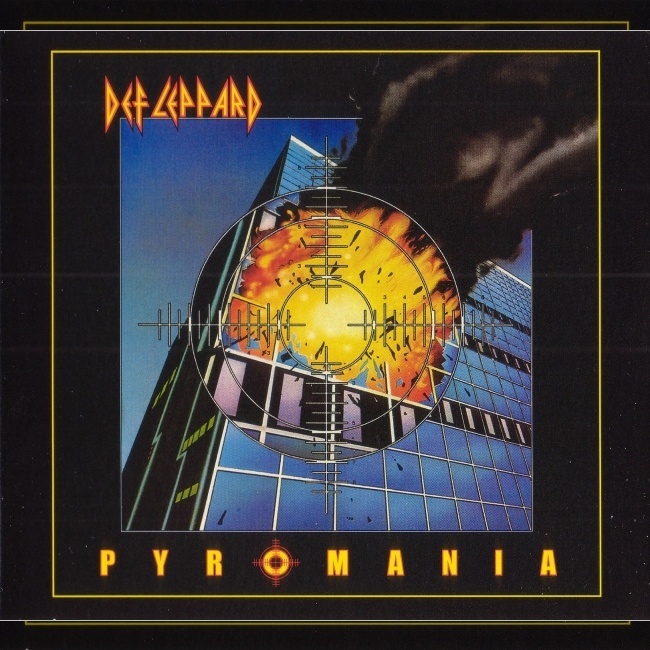 But the reason we formed Def Leppard was to be a good live group. And to make records but always to be a live group. We never wanted just to release records and not to tour. We always enjoy being on tour the most." 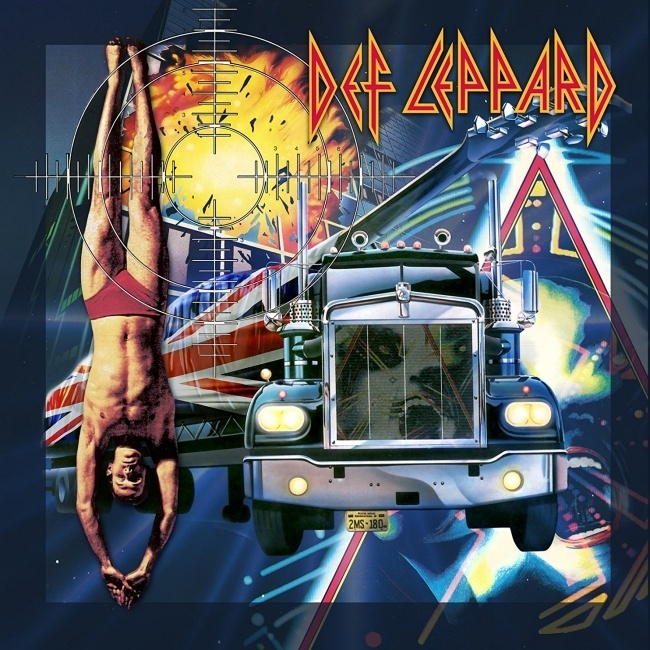 "I consider it a gift every time I get up onstage and play. I think that's when I'm at my happiest." "I think he hated being in the studio but he did bring in a lot of ideas that will just live on you know. Wonderful, wonderful person (but) certain family situations just led him into a place that was just really dark. I think a part of him didn't wanna be here. But he brought something very special to this band. 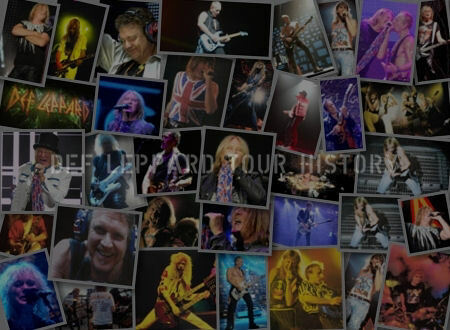 Something that will never really be revisited but will always be part of the foundation of Def Leppard." ""He was the most charming, lovely, shy. He was kinda shy like you'd see him on stage and he was the opposite of that, he'd be running around. Les Paul right down by his knees and all of that. But he was like really a sweet emotional guy. Really lovely and gentle. He was a gentle soul and it got him." 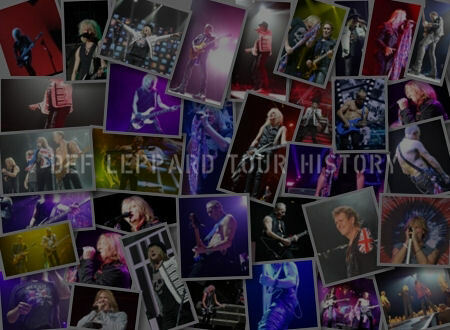 All tours from 1978 to 1988. Mink DeVille - 'Italian Shoes' Single 1985 (Backing Vocals). 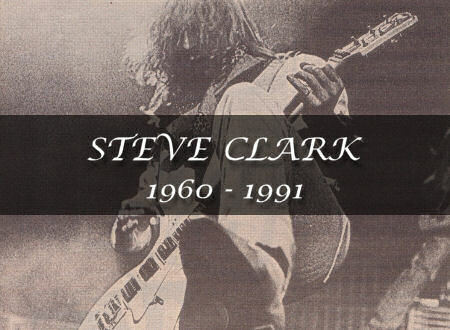 Def Leppard guitarist Steve Steamin' Clark passed away 28 years ago on this day in 1991 in London, England. 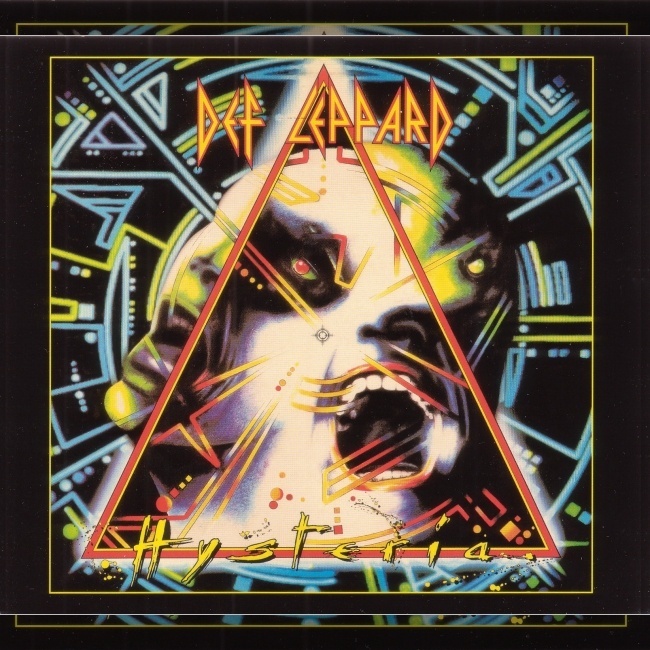 Def Leppard ended their 14 month Hysteria world tour in Tacoma, WA, USA on this day in 1988. 241 Shows played from August 1986 to October 1988. 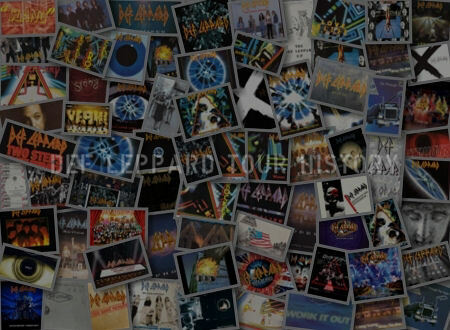 186 Shows played from February 1983 to February 1984. 137 Shows played from June to December.